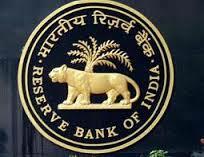 Reserve Bank of India (RBI) invites applications are for the post of Officers in Grade ‘B'(General) Direct Recruitment – (DR). Interested candidates should be Indian citizens, citizens of Nepal and subjects of Bhutan, persons of Indian origin who have migrated from Myanmar and Sri Lanka with the intention of permanently settling in India and in whose favour Eligibility Certificates have been issued by Government of India. The RBI has announced total 163 number of vacancies out of which 77 are Unreserved i.e. for General (GEN/UR), 52 for Other Backward Classes (OBC), 26 for Scheduled Castes (SC), and 8 for Scheduled Tribes (ST). Candidates belonging to OBC category but coming in the ‘Creamy Layer’ are not entitled to OBC reservation. They should indicate their category as ‘General (GEN)’. Also out of 163 vacancies, 6 vacancies are reserved for candidates belonging to Persons with Disability (PWD) category – 2 vacancies for Visually Handicapped (VH) and 4 vacancies for Hearing Impaired (HI). Persons with Disability may belong to any category – GEN/SC/ST/OBC. Website link will be open for online registration of applications and payment of fees/intimation charges from 18 July, 2016 to August 9, 2016 while Phase-I Online Examination is on September 4, 2016 and Phase-II Online Examination is on September 19, 2016. Reserve Bank of India (RBI) Officers in Grade ‘B'(General) Direct Recruitment – (DR) recruitment 2016 notification have been made available on the official website along with scheme of selection, exam syllabi and other important details.